John Adams is one of the best known and most often performed of America's composers. As Andrew Porter wrote in The New Yorker, Adams is the creator of a "flexible new language capable of producing large-scale works that are both attractive and strongly fashioned. His is a music whose highly polished resonant sound is wonderful." Le Monde says that his music "...gives the impression of a rediscovered liberty, of an open door which lets in the fresh air in great gusts." His creative output spans a wide range of media: works for orchestra, opera, video, film, and dance, as well as electronic and instrumental music. Such pieces as Harmonium, Harmonielehre, Shaker Loops, and The Chairman Dances are among the best known and most frequently performed of contemporary American music. In these works he has taken minimalism into a new and fresh terrain characterized by luminous sonorities and a powerful and dramatic approach to form. Adams' works have been programmed by every major orchestra in the United States as well as orchestras throughout Europe, Asia, and Australia. His music has also been choreographed by numerous dance companies including Dance Theater of Harlem (Garth Fagan) and the New York City Ballet (Peter Martins). Adams's operas have been among the more controversial and widely seen stage events in recent history. 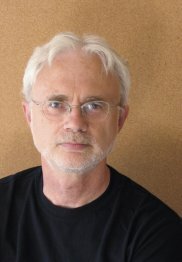 In 2003 Lincoln Center presented a festival entitled "John Adams: An American Master," the most extensive festival ever mounted at Lincoln Center devoted to a living composer. Other festivals of his music have been presented in London and in Rotterdam, as well as in Stockholm.